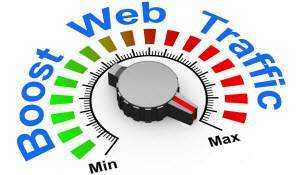 Boosting your website traffic is something that takes dedication and time. There is more competition than ever before, and with the improvement of search engine algorithms you’ll need to provide more value than ever before to your audience. You already want to do this, no doubt. It is one of the issues I preached almost all of last year. Today there are many ways you can become an expert. You can get published – either via Kindle, or on one of the expert tutorial sites like eHow.com, or Geekpedia.com. You can create a course on one of the course websites like Udemy.com. You can post your presentations for free viewing on YouTube or Slideshare.net. The more places you put your content in a professional way, the more you’ll be viewed as an expert and the more traffic you’ll bring to your website. A combination of these activities will get you more traffic in 2014. Don’t just stop at one of these ideas. Incorporating as many of them as possible will blow your current traffic out of the water.